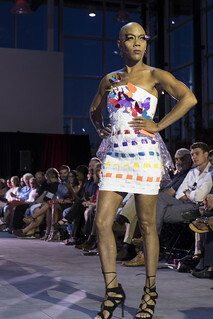 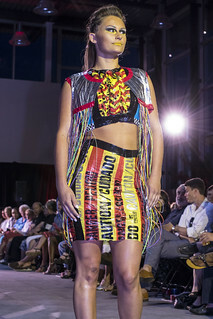 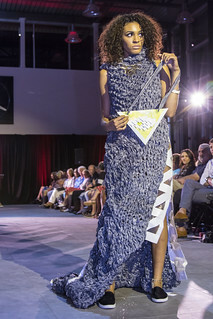 The Fifth Annual Garbage Bag Gala, held on Saturday, July 16, featured wearable creations from 23 area designers. 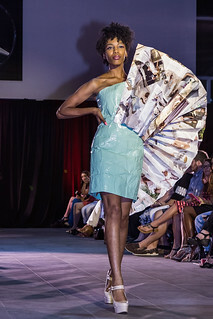 The event was organized by Echelon, a group of young professionals within the Salvation Army, who provide opportunities for young adults to interact with the organization. 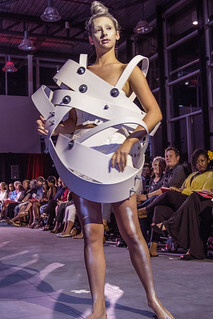 All proceeds from the event went to support Salvation Army programs that provide help for the homeless, including hot meals, shelter, spiritual comfort and emergency aid. 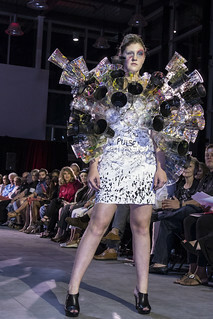 The top prize went to fashion designer Barbara Hultman, with a creation worn by model Galina Angheluta, utilizing plastic black straws. 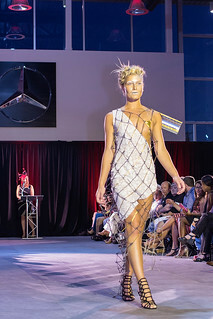 Click here to see the complete collection of photos.